With a strong commitment to reducing environmental impact, a GKN Sinter Metals facility has completed the Strategic Energy Management (SEM) Program – improving the location’s electric efficiency by 6.6 percent and natural gas efficiency by 15 percent since 2015. GKN Sinter Metals’ Germantown, Wisconsin facility partnered with Focus on Energy to begin a two-year implementation of the SEM Program in 2015, and recently completed the program with environmentally-friendly results. Focus on Energy partners with Wisconsin businesses and residents to identify energy savings and reduce energy waste. The business’s SEM program chooses companies who use significant energy in the state and meet specifications to complete the ISO 15001 Energy Management certification. The global and regional commitment from management encouraged the facility to explore additional energy consumption savings. GKN’s strategy includes all North American facilities to be certified in ISO 15001 by 2020. Rau and the Germantown team used the program to its full potential: the groups created a customized program for the facility to find maximum savings through certificate training, quarterly workshops and third-party audits. 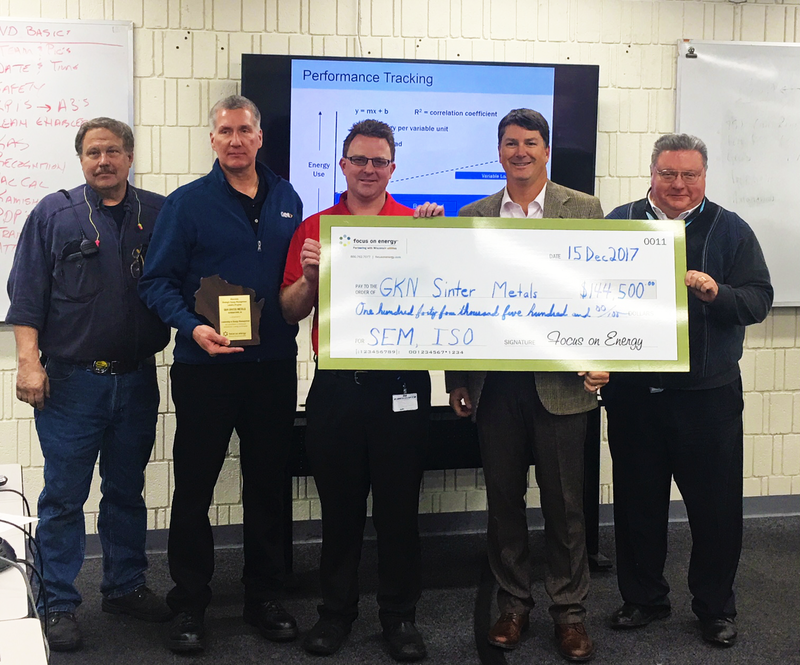 “We were ready and committed to taking a comprehensive approach to maintaining our energy,” said Wayne Spearman, Plant Manager, GKN Sinter Metals Wisconsin. The team implemented projects including extensive metering and monitoring, furnace upgrades and management, upgrades to lighting, and compressed air systems improvements. The improvements saved an equivalent of more than 1.5 million kilowatt hours of electricity and more than 30 thousand therms of natural gas, according to Focus on Energy. The energy savings also saved $136,000 at the facility. 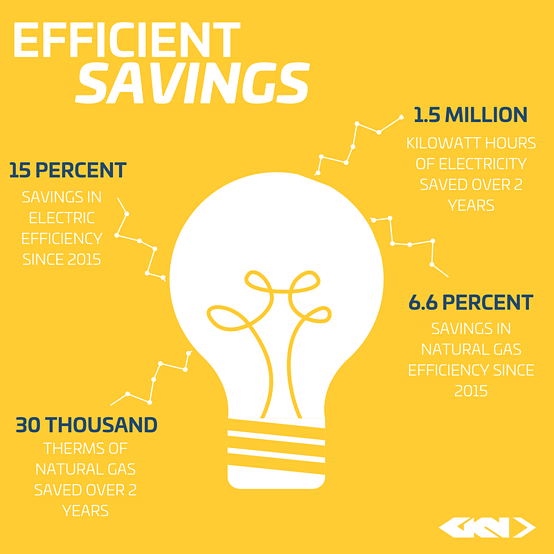 Over the two-year SEM program, GKN implemented projects that will save over six million kilowatt hours and 525,000 therms of natural gas. According to Focus on Energy, this is equivalent to removing 1,000 cars off the year and powering 500 homes year after year. After the strong success in Wisconsin, GKN is planning to expand its environmental savings across North America. The SEM program implementation is being shared with GKN’s North American Health, Safety and Environment teams, and will be presented at an upcoming Manufacturing Engineering Conference in Indiana.